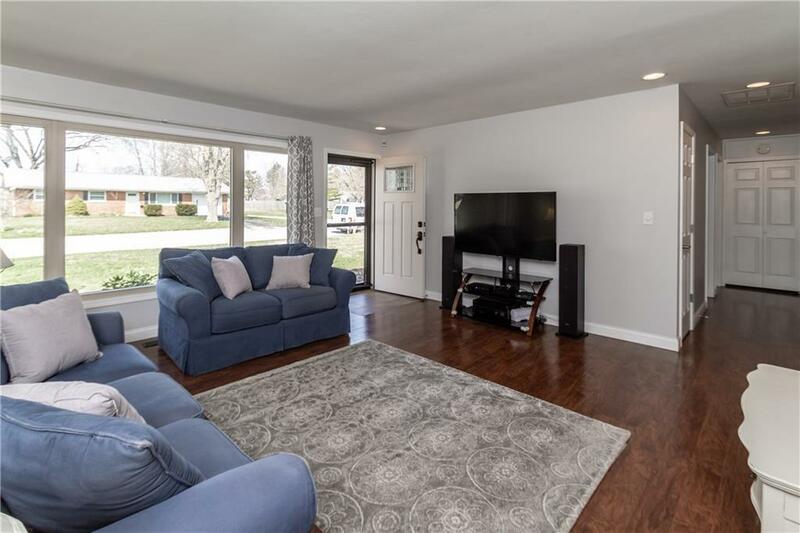 Exciting opportunity to be in a totally updated home just a 5 minute walk from the best of Carmel Arts and Design at the Monon Trail! 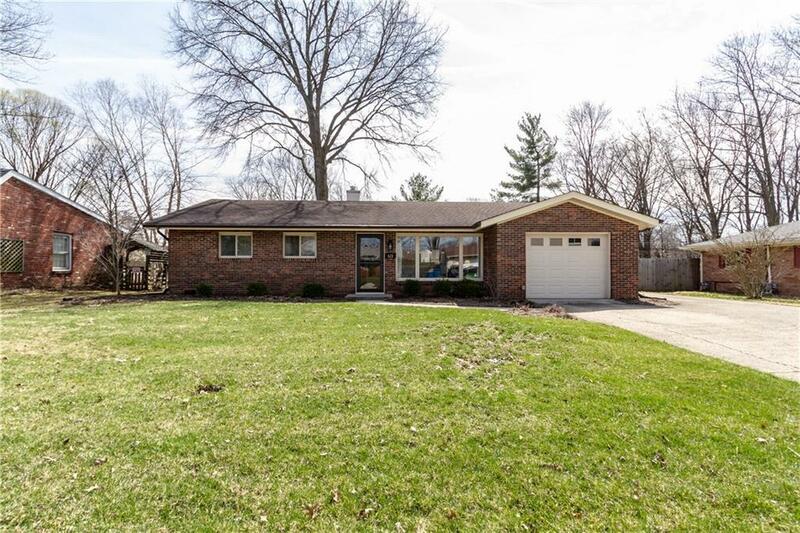 You'll find all the newest features you seek through out this all brick 3 bedroom ranch. 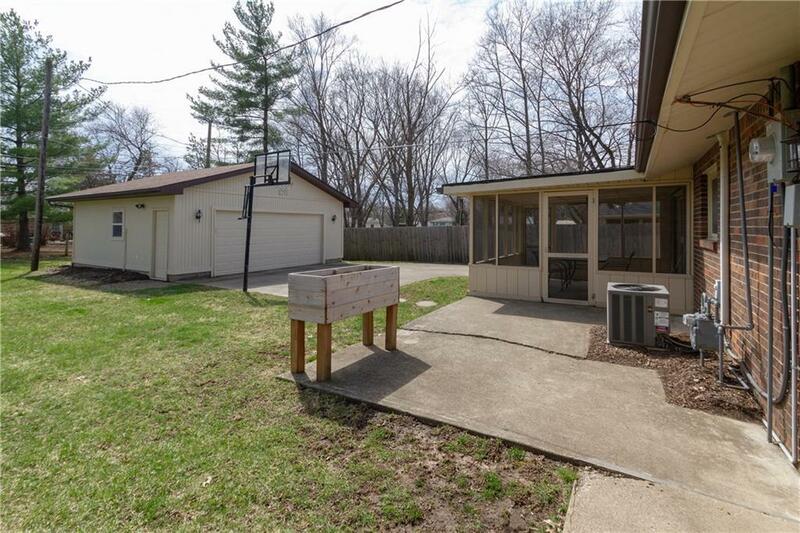 and ample garage space with a 1 car attached and 2 car detached. 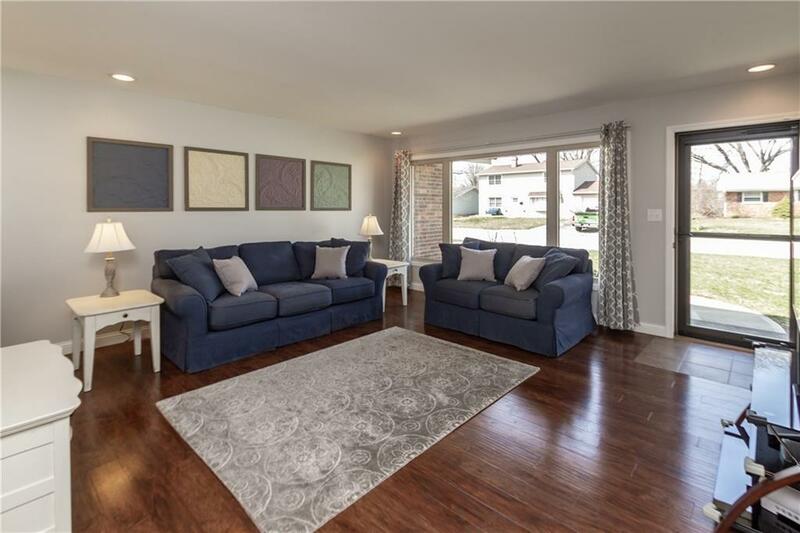 Floor plan has been opened up to connect living room and kitchen making entertaining most enjoyable! Updates include white kitchen with full set of stainless appliances and stunning tile backsplash. Solid surface and quartz counters. Updated baths. Entire house has rich laminate hardwoods. Also find new trim and doors along with vinyl replacement windows. The shaded back yard, screen porch and patio provide perfect outdoor space for warm days ahead.